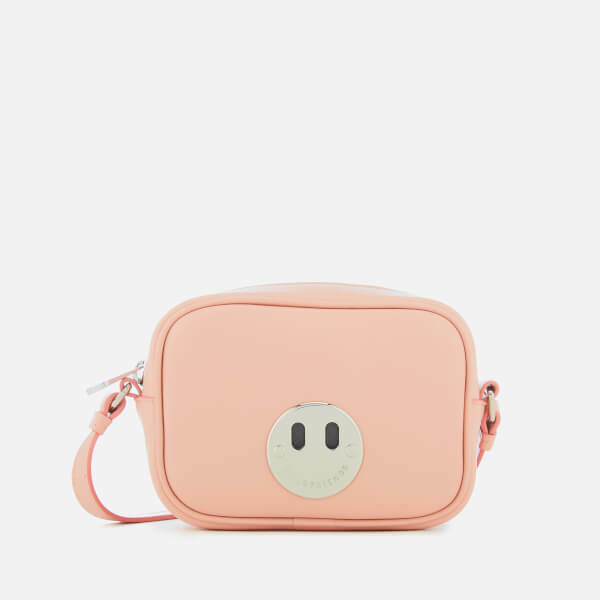 The mini camera bag is part of British brand Hill & Friends’ Happy line. 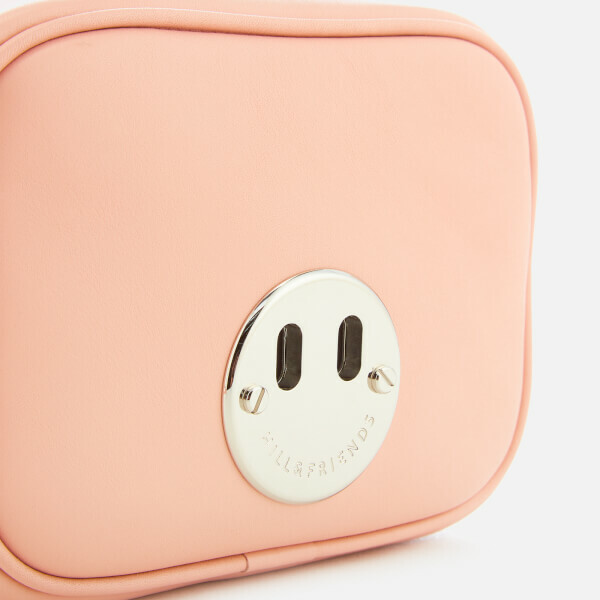 The compact structure is crafted from smooth-textured goat leather in soft, pastel pink. A zip top fasten main compartment, with curved edges, is lined internally with Italian suede. 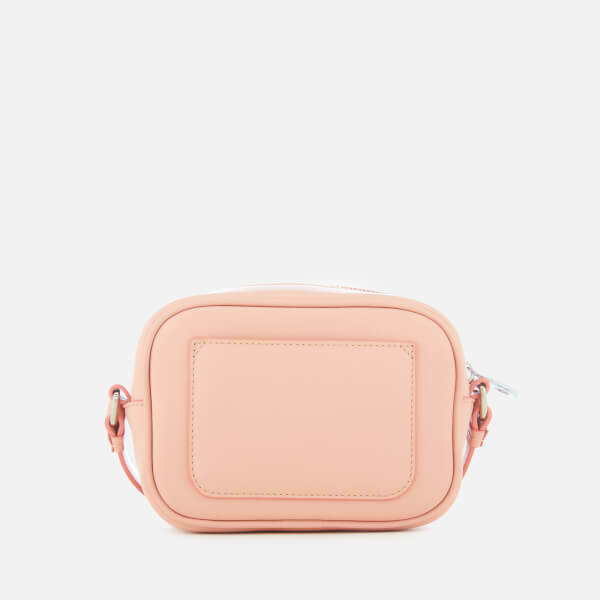 An adjustable strap offers versatile wear on the shoulder or cross body, and an external slip pocket gives extra storage. A plaque on the front features the brand’s signature smiley face with cut-out details forming the eyes and engraved logo making the smile. Piped seams frame the bag. Outer: Goat Leather. Lining: Suede. Dimensions: H: 12cm x W: 16.5cm x D: 6cm. Handle Drop: 60cm.